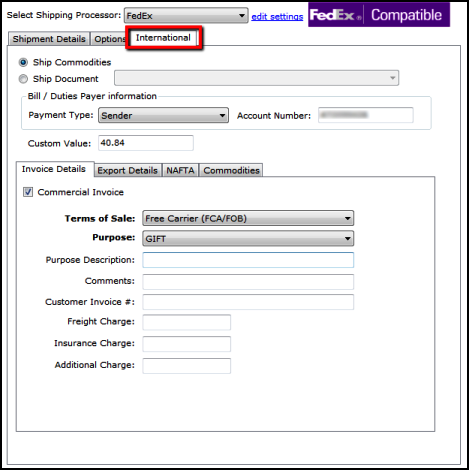 If you are shipping International using FedEx, click on the international tab to select various options important to international shipping. Upon clicking the international tab, you will be asked to select if you are shipping commodities or documents, the type of documents you are sending, Bill and Duties information and the customs value. 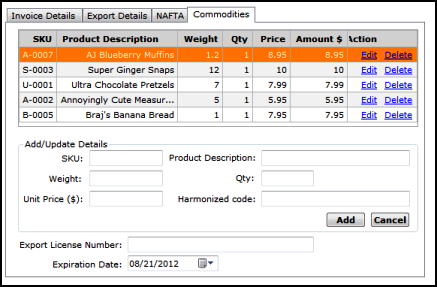 Once you have made the selections, click on the Invoice details tab to select commercial invoice options. 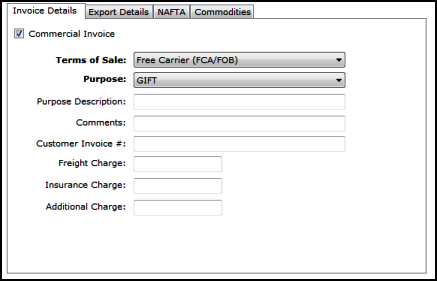 On the invoice details tab you need to fill out the details if your shipment is commercial and requires a commercial invoice. 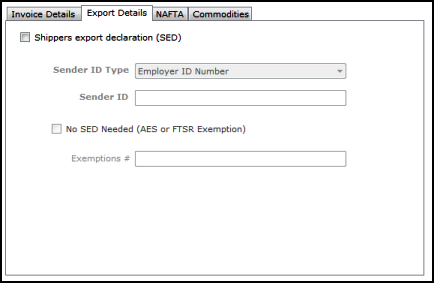 Once the invoice details are complete, click on the export details to select options for Shippers Export Declaration. 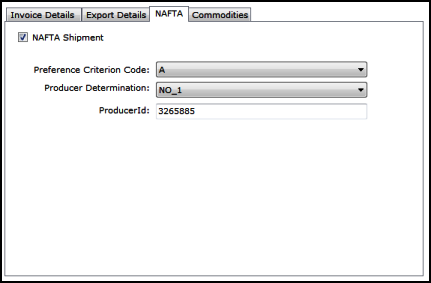 The NAFTA tab allows you to select and set options for NAFTA shipments.